RMG Industrie specializes in high precision machining parts for electric vehicles. 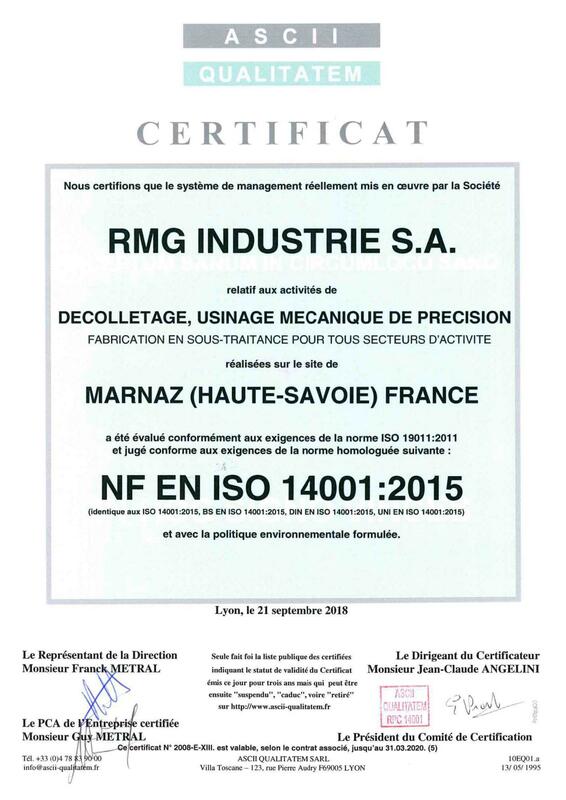 Since its creation, RMG Industrie has been committed to a responsible environmental approach. Accompanied by the experts of Syndicat National du Décolletage, we knew how to put in place the methods and tools to make our production more eco-responsible and to limit as much as possible its impacts on the environment. Our efforts have been certified by the ISO 14001: 2015 standard.